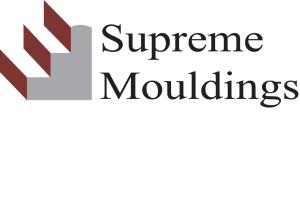 Supreme Mouldings is a world class manufacturer and distributor of polystyrene skirtings and trims. Operating since 1972, our trendy designs and fashionable colours will add value to any home. Our products are readily available in JHB, CPT and DBN and supplied pre-finished, therefore no need for painting or staining and complete for installation. Supreme’s skirting and trims are manufactured from 100% recycled waste polystyrene and fully recyclable, making our product range one of the “greenest’ of its type found in South Africa.